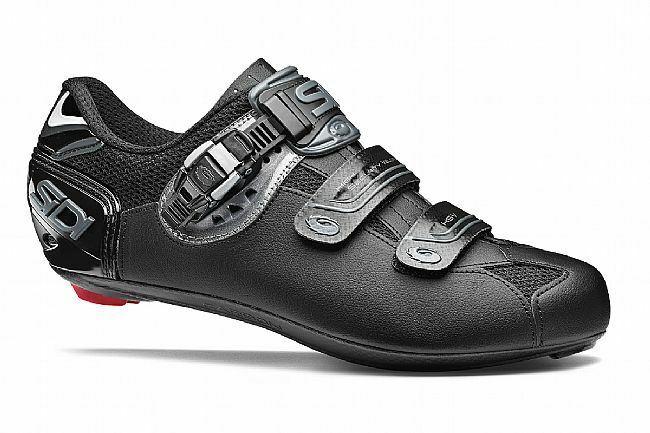 The Sidi Genius 7 Mega features a Millennium 5 carbon composite sole, durable Microtech upper, and a more spacious Mega fit for supreme comfort for those with larger feet. Two Velcro straps plus one ratcheting Soft Instep Closure 2 strap secure the shoe while allowing minute adjustments to achieve a secure fit that's free of pinch points. 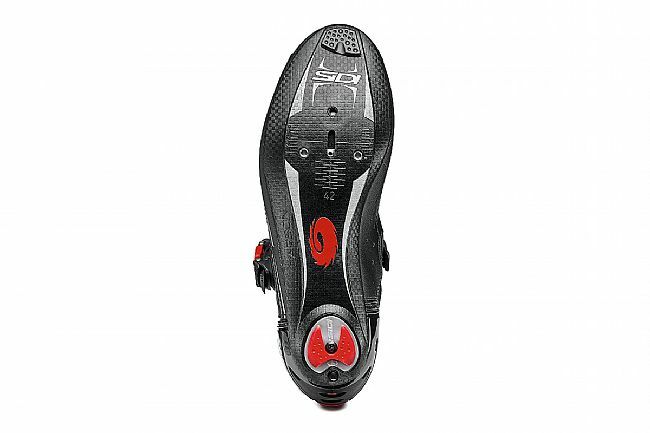 Sidi's molded plastic heel cup further keeps the foot in place while cycling, and mesh vents placed at the ankle, along the top of the forefoot, and in the toe box maintain perfect temperature no matter how demanding the ride. I was happy with the Sidi non-carbon plastic soled shoes I wore for about 10 years and 20,000 miles. Decided to replace them, when the lining started fraying, with something with a carbon sole. So I purchased these in size 46, which was the same size as my previous Sidi shoes, however they fit a smidge looser around the heel. Fit in the toe box is about the same, which is good for my wide feet. Now have about 500 miles on them and am satisfied with the stiffness of the sole. I bought them on sale from Bike Tires Direct and was able to use my points to help pay for them, so they were a steal. 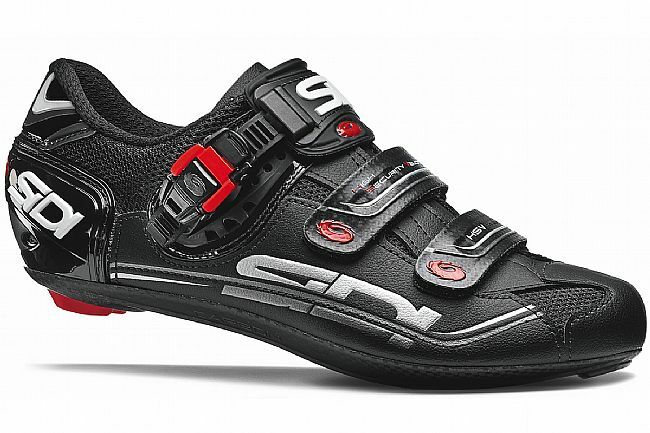 I periodically try other shoes but always go back to Sidi Genius. The Mega Fit gives a little more room for swelling feet in high heat, long distance rides. Have used Sidi for over 2 decades.